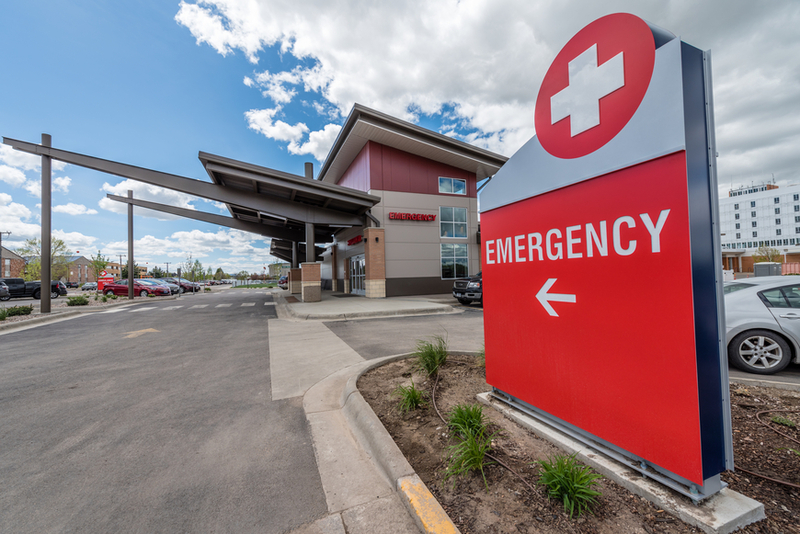 The massive two-year expansion and remodel project at Benefis Health System transformed the existing Emergency Department (ED) into a cutting-edge trauma center. The new Benefis ED features advanced technology and an innovative design that allows for more efficient, patient friendly care. The size of the ED more than doubled through both new construction and remodeling. 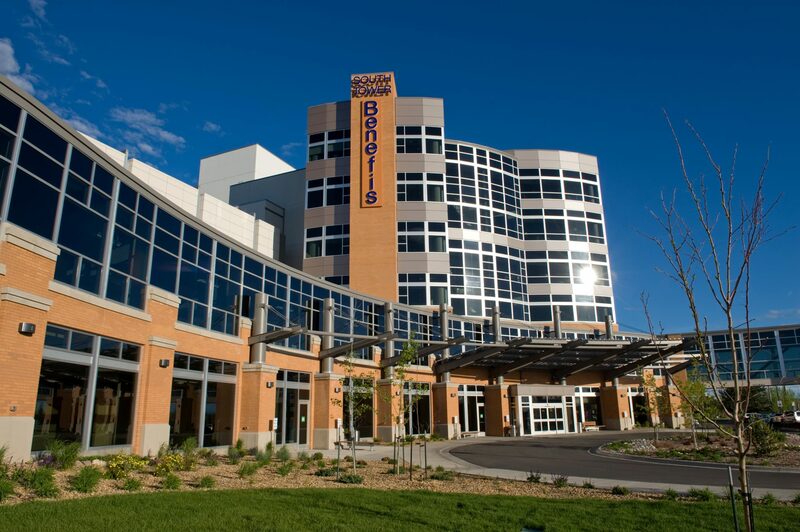 The Benefis ED is now the largest emergency department in the state of Montana at more than 39,000 square feet. The Benefis ED is always open, 24 hours a day, 365 days a year, ready to provide life-saving emergency care when you or your family are in need. In 2018 alone, Benefis provided vital emergency care to more than 30,100 patients and completed 1,067 missions for Mercy Flight, Benefis’ air medical transport program. 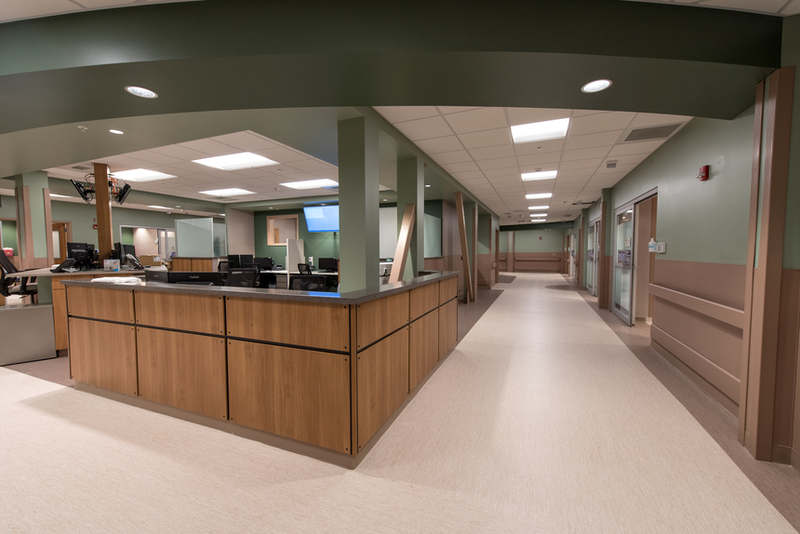 Meticulous attention to detail was put into the innovative design of the ED, and we used input from staff, providers, patients, and families when creating the design. 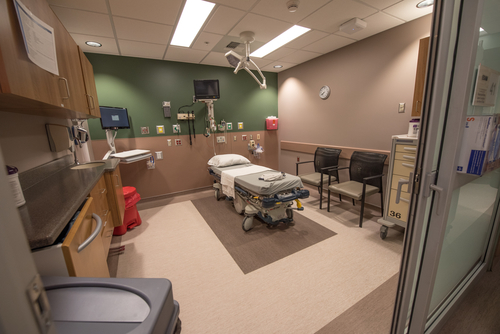 Full-size mock-up rooms were built prior to construction so clinical teams could test the room designs and make sure they were outfitted to handle any situation. 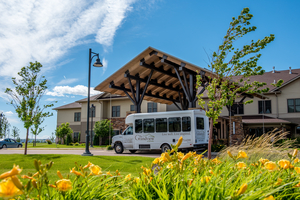 33 rooms in total – All 33 rooms are significantly larger than the original 18 rooms. New ED Entrance & Waiting Area – The new public entrance is easily identified on the corner of 11th Avenue South and 28th Street South. The waiting area features a kids’ play area and a covered drop-off and pick-up area to protect patients from the weather. Ambulance Garage – The large, drive-through parking structure can fit six ambulances. It is heated to protect patients from the weather when loading and unloading from emergency vehicles. This structure also includes a designated area to conduct mass-decontamination, should the need arise. New Helipad – Two new helipad sites—one cement pad and one grass pad—both feature in-ground lighting. Rapid Medical Evaluation (RME) Area – Nine new treatment areas, an interdisciplinary team workstation, an equipment storage area, and more help our teams provide lifesaving care quickly and efficiently. Three Trauma/Resuscitation Bays – Two bays have specialized airflow to allow for a variety of procedures and operating room setup. The third trauma bay is equipped with its own decontamination shower. Radiology Suite – In addition to our CT scan capabilities, we now have fully digital imaging services, including ultrasound, for accurate and expedited patient care. Mercy Flight Headquarters – Our new, state-of-the-art Mercy Flight dispatch center includes equipment storage, locker rooms, and more to support this Benefis air medical transport program. 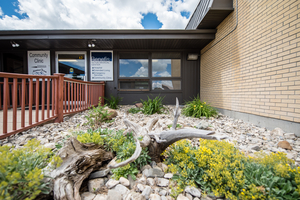 Behavioral Health Bays — Two self-contained bays for patients facing acute psychiatric crisis. Sexual Assault Exam Suite – Designed specifically to provide dignified and compassionate treatment to patients who have experienced this type of trauma. Clinical Decision Treatment Area – 12 clinical decision treatment bays for patients who need further testing, observation, or treatments. Technology – The new ED features high-tech equipment, including portable cardiac monitors and state-of-the-art trauma equipment, and the flexibility to accommodate future technological advancements. Tiered Medical System – A new workflow based upon processes used in larger emergency departments throughout the country has been implemented. This Tiered Medical System functions to create more efficiencies and to facilitate the flow of patients to the right place at the right time, to receive the appropriate level of care. 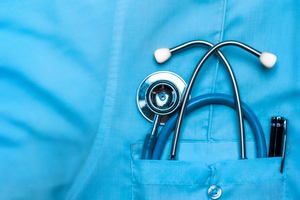 The Benefis ED is an American College of Surgeons verified Level II trauma center—the highest designation of emergency care available in the state. 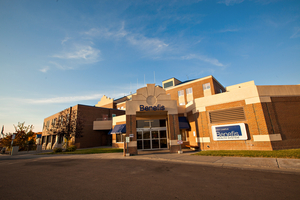 The Benefis ED is the only Level II trauma center in Great Falls and the northcentral Montana region. 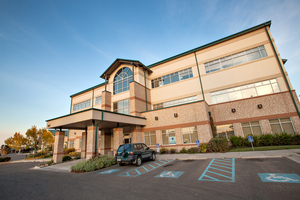 Montana’s other Level II trauma centers are located in Billings and Missoula. The closest Level I trauma center is in Salt Lake City, Utah. When the Williams-Ario Regional Emergency and Trauma Center first opened its doors over two decades ago in 1998, the ED served approximately 24,000 patients per year. In 2018, it served 30,100 patients. This crucial construction project to expand and update the Benefis ED would not have been possible without our amazing donors. Benefis Foundation donors have funded an incredible $2.5 million of this $12.5 million project. The generosity and support of our donors is helping to ensure the future of world-class, lifesaving emergency care for years to come. Thank you.